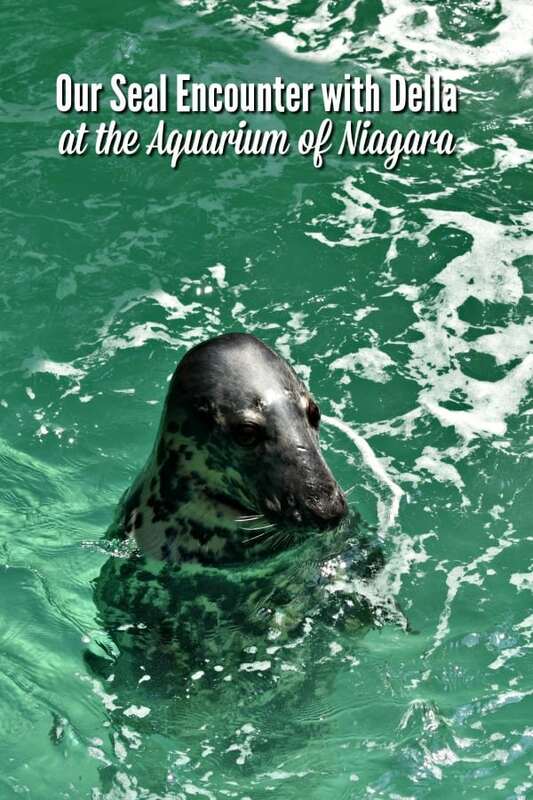 Visitors to the Niagara Falls Aquarium can book a one-of-a-kind animal encounter with the penguins or seals! This experience, along with the Maid of the Mist, were the absolute highlights of our family vacation to Niagara Falls! 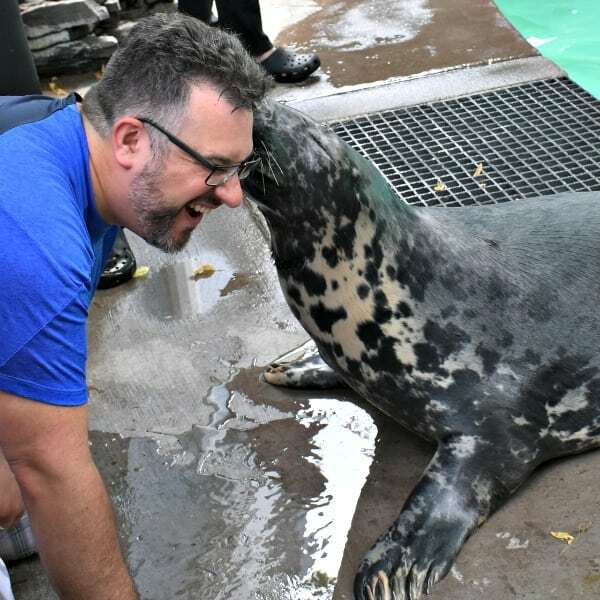 We were able to meet and interact with Della, an 28 year old female gray seal that was rescued in 1990 off the coast of Delaware. 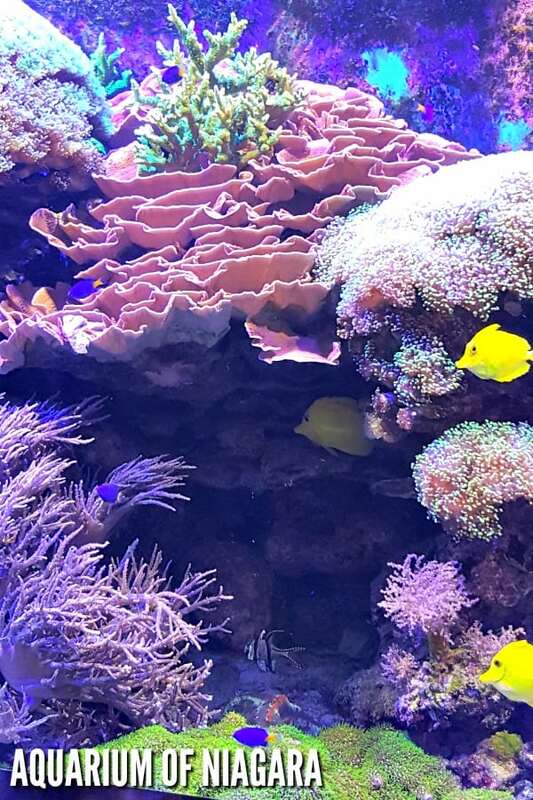 Because she is unable to be released back in the wild, she now makes her home at the Aquarium of Niagara. Our guide, and seal trainer, Sabrina taught us how they care for the seals and we got to see where all the food is prepared. One of the most amazing things about Della is that she is now completely blind after developing cataracts, but she has formed very strong bonds with her trainers using verbal and non-verbal cues. She is absolutely a gentle giant! We were actually a part of the Rescue Seal Presentation and had an audience during our meet and greet with Della. The kids were a little nervous about the on-lookers and were more reserved than we expected. During our encounter, we got a kiss from Della – like a giant dog but without the slobbery tongue! We also got to pat her sleek fur and scratch her belly, which the trainer told us she just loves. Animal encounters are not included in the cost of admission. 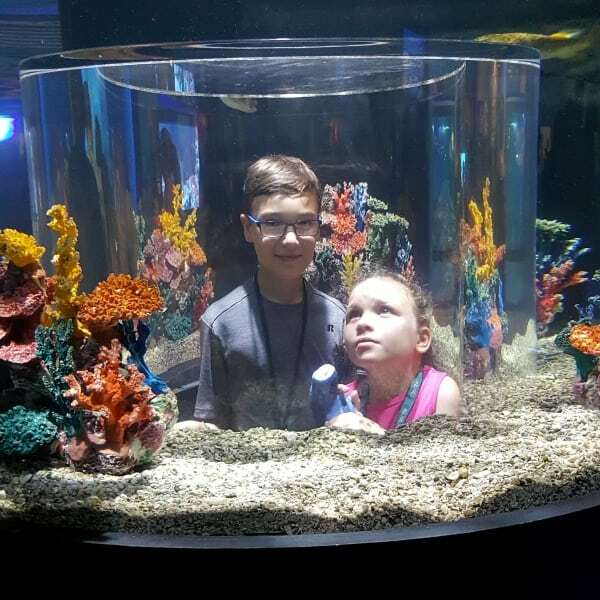 The cost is $74.99 per person (age 8+) for this totally unique experience. 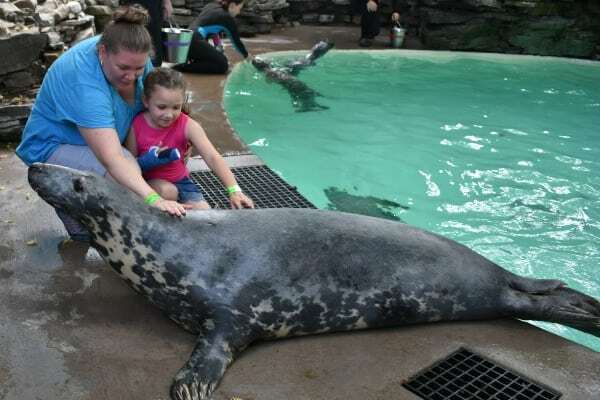 Be sure to plan ahead if you are interested in experiencing the seals or penguins up close! Click HERE to learn more and reserve a time. 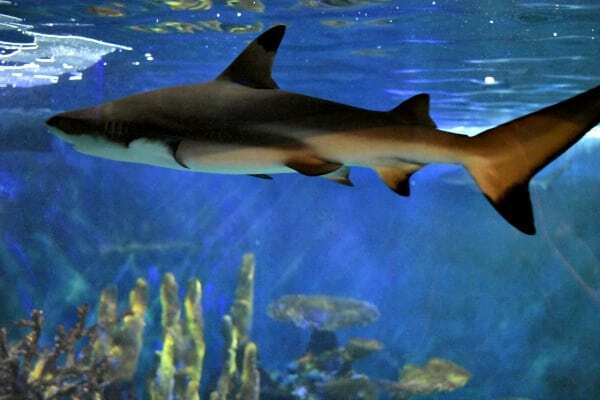 What type of sea creatures are at the Niagara Falls Aquarium? What kind of shows are at the Niagara Falls Aquarium? There are several shows throughout the day, as well as “Meet the Expert” interactive presentations. The Sea Lion Show was our most favorite, but the Penguin Feeding and Rescue Harbor Seal Presentation were pretty cool, too. All of these programs are included in the price of admission. See the full list HERE. Always double check the website or call ahead at 716-285-3575 as admission prices are subject to change. How can I save money in Niagara Falls? Passes are $46 for adults and $35 for children, so you can save $15-25 depending on the type of pass purchased. 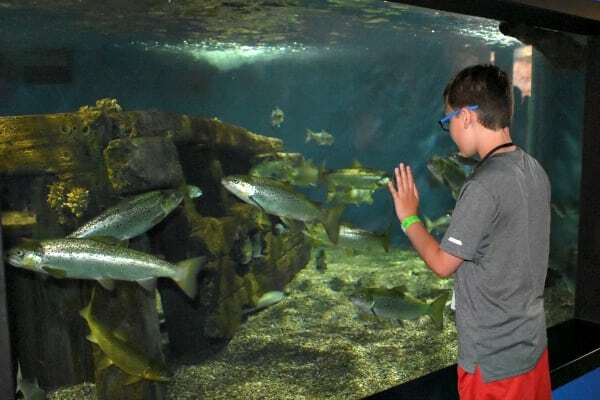 Please note, the Discovery Pass includes general admission to the Aquarium of Niagara but there is a separate fee for Animal Encounters. Check out our view of the Sheraton Niagara Falls – a great place to STAY and enjoy the area.